Just Born Jelly Beans Pectin (Medium Size) will make your taste buds go wild! With a variety of delicious flavors like orange, grape, cherry, pineapple, strawberry, lemon, lime and licorice, there's something for everyone. Just grab a handful of Just Born Jelly Beans for an assortment of yummy fruit flavors! With our big 4.5 lb. bag, you'll have more than enough to fill all your candy dishes, favor bags and hollow eggs with these favorite Easter treats. Kosher Parve. Sold in bulk, delivered in a 4.5 lb. bag. Approx. 260 pcs. per lb. Long Island Candy Factory is your wholesale candy headquarters. 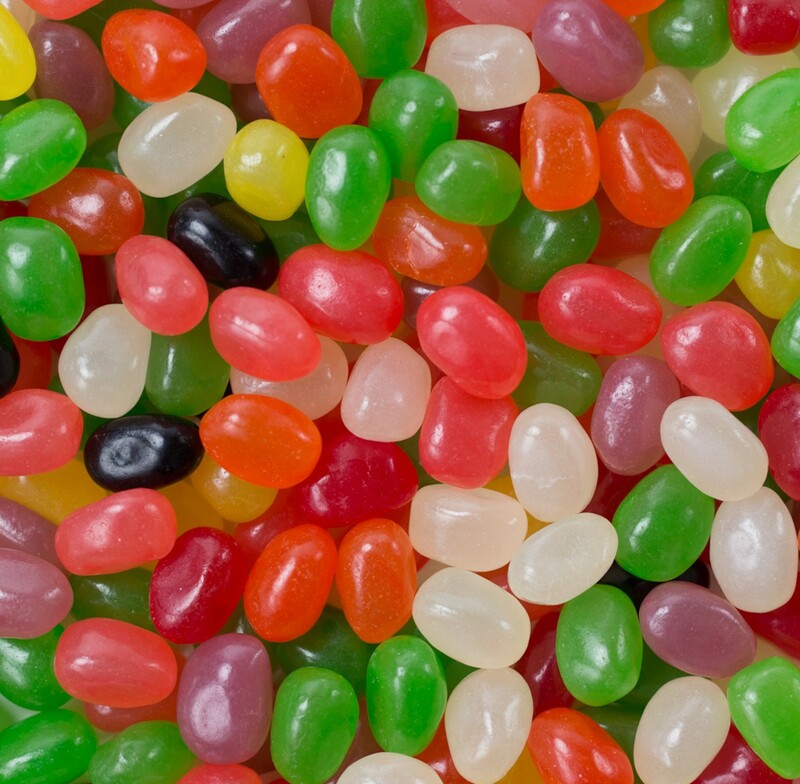 Enjoy bulk Just Born Jelly Beans delivered fast, right to your door at low wholesale prices.